Today Grade 4 students ran a Google Hangout with me, asking questions about registering their blogs and adding the badge to their blog sidebar. Well done girls in 4BC! connecting with other blogging classes around the world? adding interesting yet educational widgets to your blog? using more web 2.0 tools in your posts? reading what other students around the world are writing about? 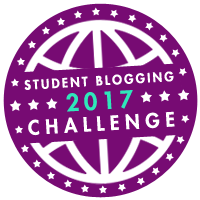 Then join the October 2017 student blogging challenge. First challenge posted on Sunday 1 October so you won’t be behind. Each week is a different topic with a variety of activities to choose from. Spreadsheet to find other classes and students to connect to by just clicking on a link to their blog. If on holiday one week, miss those activities and come back to them later on. No winner, just a chance to make connections and improve your blogging skills. Add the challenge badge to your blog if you decide to take part. Click here to register your class blog. If any of your students have their own personal blog, they can register here. Maybe you would prefer to mentor a group of students. You might be able to connect each of your students to one, with their own blog, taking part in the challenge. That is why I began blogging back in 2008 – I wanted my students to see there is a world beyond their small town. We began with a class blog, then each student had their own blog, all open to the world. But the world was not coming to them; the only comments they got were from each other or from me their teacher and occasionally a parent. How could I get a global, authentic audience to visit my students’ blogs? Back in 2008, I didn’t have any contacts to other teachers around the world. The students didn’t have any relatives living in other countries. Then I remembered Sue Waters, my mentor who had started me on my blogging journey. I contacted her and she sent out a tweet to her educator friends on Twitter. I had joined Twitter 6 months previously but had not used it because I couldn’t really see any value to it. Soon I had 3 teachers wanting to link our classes and to leave comments on student blogs. Here was the authentic audience, here was a global audience. But this would never have happened if I didn’t have that one person who had a connected personal learning network. So how are you the teacher going to develop a network of other educators who can then help comment on your student blogs? I will be writing another post on developing a PLN (personal learning network). This is the next post in the #EdublogsClub series. The thing I find most challenging about blogging with teachers and students is keeping the momentum going. Often students will start a blog as required by a teacher for perhaps a language arts or history unit. If time is not given during class, often these blogs go by the wayside very quickly. I find those students who blog about their passions are more likely to continue blogging even when the teacher is not there. When I run the student blogging challenge (BTW next one starts first Sunday in March), again students, especially the older ones, often don’t write the posts or leave comments on other student blogs. It is only the very keen ones who do this regularly. Some students will do it though, if it is needed for assessment and bonus marks. Teachers also need the momentum to keep blogging. I find if they use it as a normal part of the curriculum or as a way to connect with parents, the class blog is more likely to be updated. But if they see it as an add on to the already overcrowded curriculum, then the blog will sit there with very little added to it. If teachers also have their students as contributors to the blog, then they can write posts about what is happening in class or things they are passionate about. This will also keep the blog going as parents and relatives are likely to leave comments on posts written by their own child. Readers: If you have a class blog or website, how do you keep the momentum going? Who is the blog for? Who can post on the blog? This is the next post in #EdublogsClub. It came at a very appropriate time, as this morning I was running a refresher course on blogging for teachers who have either been blogging for a while or just starting out. I showed them three different web tools they can embed on their blog. You can read how I ran the Refresher Day course here! The first tool I showed was Padlet which is like sticky notes but online. The Padlet below was embedded into the Refresher Day post so the teachers could add a sticky note to share what they wanted to learn while allowing them to see how easy it could be used with students. Add your own note to the Padlet below to share your favorite tools you use with students. The next tool I shared was Symbaloo which you can use to gather resources or websites you often use in class. In the top right corner of this blog there is a drop down menu under Tools to Use. Coding Sites – from an Irish friend of mine who I met through blogging. Digital storytelling – a symbaloo webmix which I created from lots of resources from other teachers. Image and sounds symbaloo – I use with the blogging challenge as it has links for using images and sounds on your blog. The third web tool I showed them was Voki where you can create a talking avatar. Great for text to speech book reviews and children soon realise punctuation is important. If I make a free version without signing in I can only add a link to the Voki, but if I join and sign in, I can use the embed code. Also you will notice that both Padlet and Voki have school versions. If your school prefers to keep control of what students create and don’t like them having their work out in public, then you might be able to opt in for the education version. Always check for a special education version whenever you look at new tools. This week’s prompt for #EdublogsClub is using images in blog posts. I am not going to write a long post this time instead I am going to send you to some blogs and blog posts about using images. I am personally taking part in a photo a day challenge. I have tried this for a few years and never made it all the way through the year. I use my iPad to take a photo then upload it to my blog via the Edublogs app. Write a bit of a post, add the categories and tags, then publish. 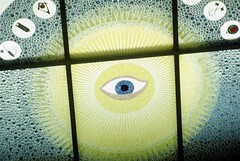 I have chosen a them that automatically puts the first image in the post as the featured image. Thanks to Sue and Eugene (sorry I had Elliott) from Edublogs for their help in sorting this out. Keen photographers in your class, would be a great way for a group blog. Mrs Yollis in California also takes part in a 365 day challenge with her students. She uses a blogger blog rather than Edublogs but she has students from around the world send in photos to her blog and leave comments. Click on the image to take you to the post and area to leave a comment. When teaching students and teachers about images on their blogs, I use the post I have for the student blogging challenge. I use a lot of resources from various blogs around the world but I will leave it to you to have a look at the activities I get the classes and students to have a go at when using images. I rarely change this challenge other than to update to different student posts.